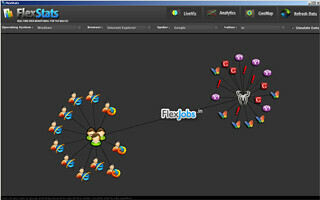 ThinkTank | The XLabz Blog : GeoSocials featured as RIA of the month in Adobe’s Newsletter! GeoSocials featured as RIA of the month in Adobe’s Newsletter! Fantastic news from all of us here at XLabz. 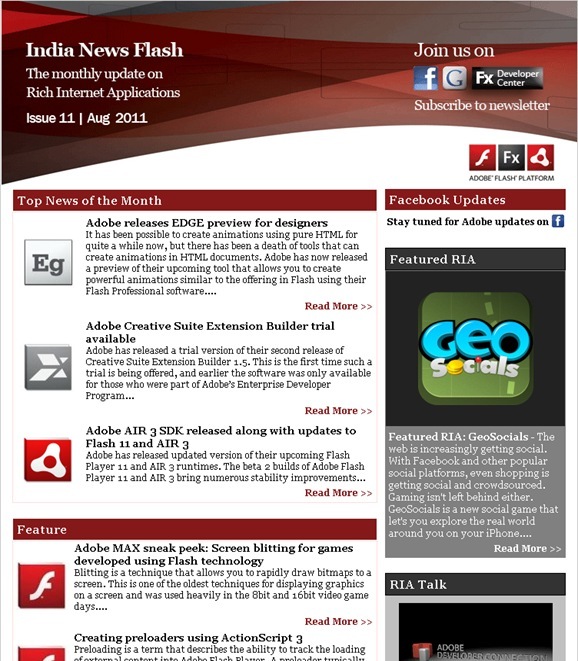 We just got to know that GeoSocials is the featured RIA of the month, in the August issue of Adobe’s newsletter! We truly feel honored to be recognized by the Adobe RIA community and we can’t tell you how much this means to us. Just to give you a small recap, GeoSocials was launched in July 2011 for the iPhone and for the Android devices in August. Since then, we’ve been getting a lot of positive feedback from all our users across the world. Appreciation means everything to us and this kind of recognition is only going to push us to do BIGGER and BETTER things! We want to thank the Adobe RIA Community from the bottom of our hearts and also all the “GeoBuddies” out there who are blazing trails wherever they are. And for those of you who are not yet on GeoSocials, go get it here! No User Responded in " GeoSocials featured as RIA of the month in Adobe’s Newsletter! " « File Explorer is a featured app on the BlackBerry PlayBook!